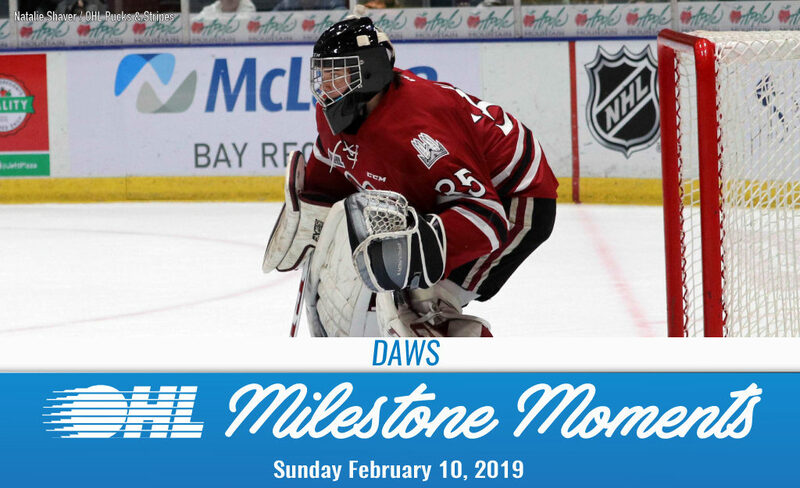 Eighteen-year-old Guelph Storm netminder Nico Daws earned his first career OHL shutout on Sunday. The 6-foot-5, 223Ib native of Burlington, Ont. stopped all 29 shots he faced as the Storm blitzed the Kingston Frontenacs by a score of 9-0 on home ice. The sophomore goaltender improves to 6-5-1-2 with a 3.50 goals-against average and .886 save percentage over 15 games this season. Daws was Guelph’s seventh round pick in the 2016 OHL Priority Selection from the Burlington Eagles Minor Midgets.